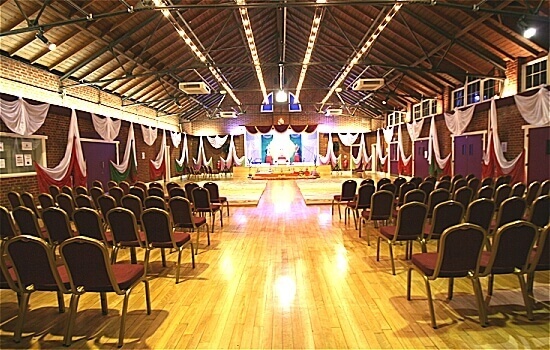 The Main Hall can accommodate large functions from 150 to 300 guests and has a raised stage area as the focal point. 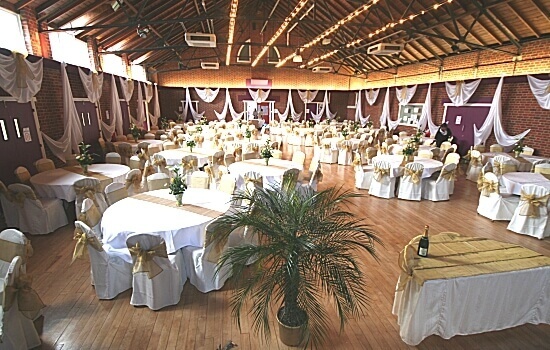 Entered through the large welcoming foyer, with an open and airy feel. 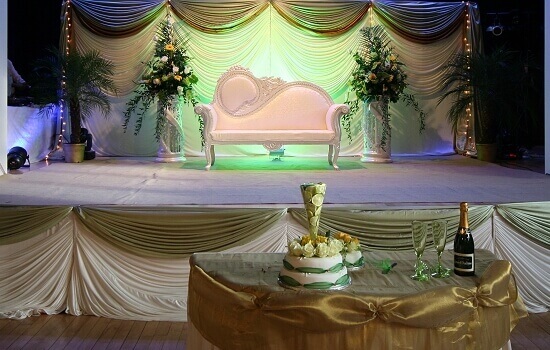 It is fully air conditioned with various lighting arrangements to provide the exact ambiance you require for your event. 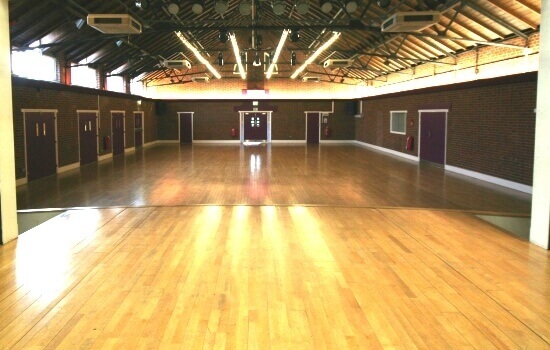 It has a natural wood floor and a high vaulted ceiling, giving the Main Hall a feeling of grandeur. 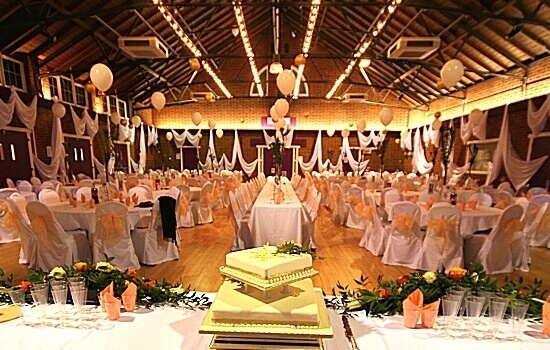 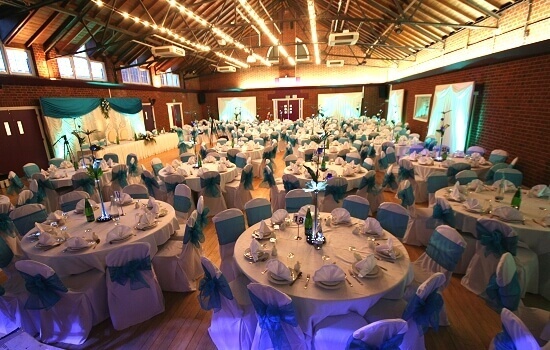 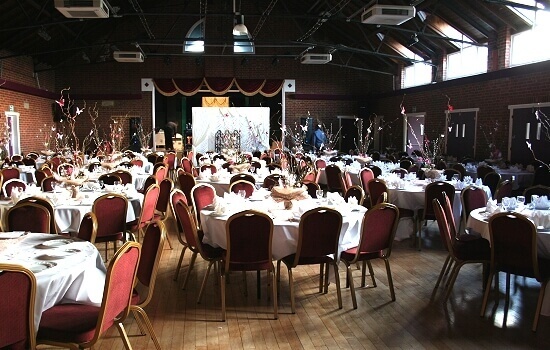 The hall can accommodate up to 300 people, reducing to 260 people for Dinner/Dance type functions, as extra space is required for up to 26 Large round tables. 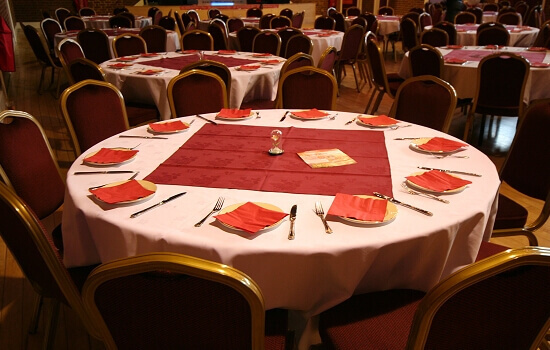 Each table can seat up to 10 guests comfortably, using our luxuriously high backed cushioned chairs, which will compliment any configuration of sitting arrangement. 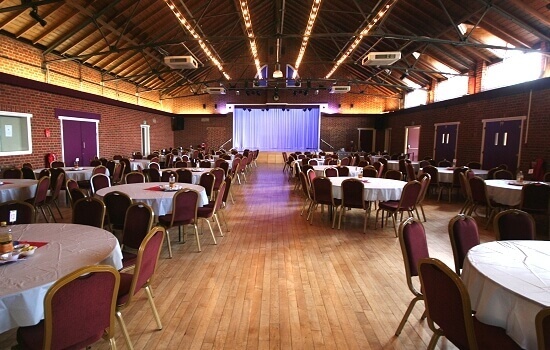 The stage can be accessed by steps on either side from the main hall for public presentations etc. 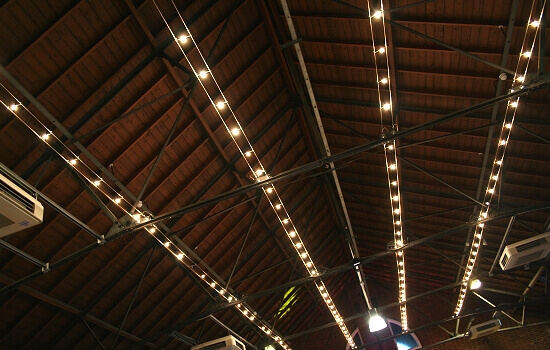 as well as two concealed entrances that can be used during performances. 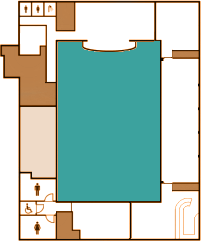 The Small Events area can be accessed directly from the main hall through 5 double doors on the West wing. 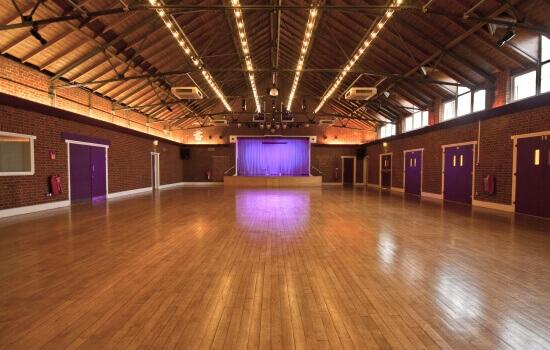 Hire of the Main Hall includes the FREE use of the Small Events Hall, Stage & the Kitchen. 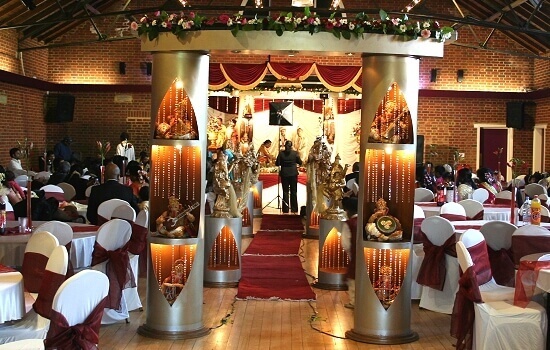 We can also provide facility of a private Changing room with separate shower and washroom facilities.